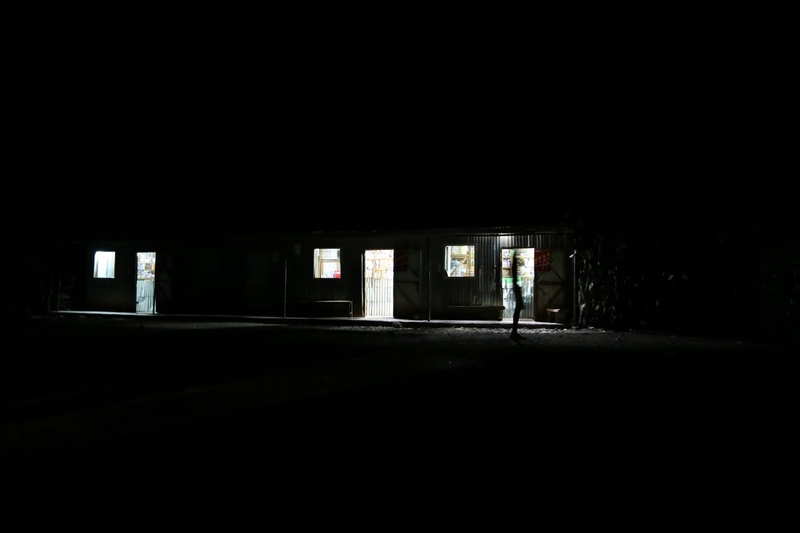 Our goal is sustainable and replicable electrification in rural East Africa, since reliable and affordable sources of energy are fundamental not only for wellbeing, but also for economic growth and poverty reduction. 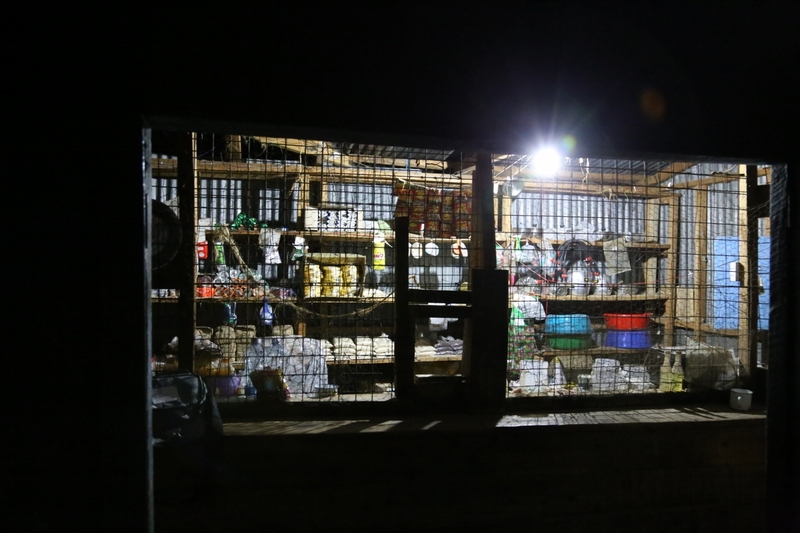 We have devised a system to provide electrical services such as lighting and refrigeration to rural communities that do not have access to the national electricity network. By engaging a sustainable business model, the community operated electrical installation is made economically viable and self-financing. The installation is modular and is therefore easily replicable in other locations. People: Engage the local community in determining their needs, aspirations and goals and assess the social, economic and cultural context of the community to identify the most appropriate system. Product: Select technologies best suited for the local situation, based on the resources available and the wants and needs of the community. Process: The introduction of energy systems must be accompanied by the development of business processes to allow sustainable replication, deliver social benefits and generate wealth for the community. Please see our project pages for information on our six successful solar installations. Two villages identified in WP1 will be selected for an electrification scheme in full consultation with the villagers. The solutions will be developed in parallel with a software-based decision tool to select the technical, economic, operation and maintenance options for a rural, renewable-based off-grid electricity generation project. The electrification schemes will be instrumented for remote monitoring of energy generation, consumption and system status. 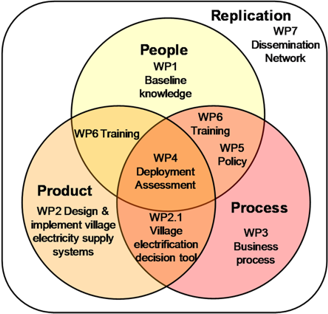 Exploration of factors influencing scale, replication, and implementation of economically sustainable, socially-inclusive village electrification schemes. Use of the electrified villages as training centres for the off-grid electricity generation process from design to installation, commission and sustainable operation. Regional development workshops will be held and academic exchange conducted. Formation of a network of interested parties in Africa and the UK (academic, industrial, governmental and non-governmental organizations), to be run in parallel with the project. The aim of the network is to build on the work of the proposed programme to enable collaborative research and project development addressing the needs of rural communities. The Energy for Development Project is not responsible for the content of external sites. Inter-relationship between work packages in the project and the key aspects of people, product and process.